Fort Lauderdale, FL – The price of gas fell precipitously during the past week, dropping five cents, on average, across the United States. 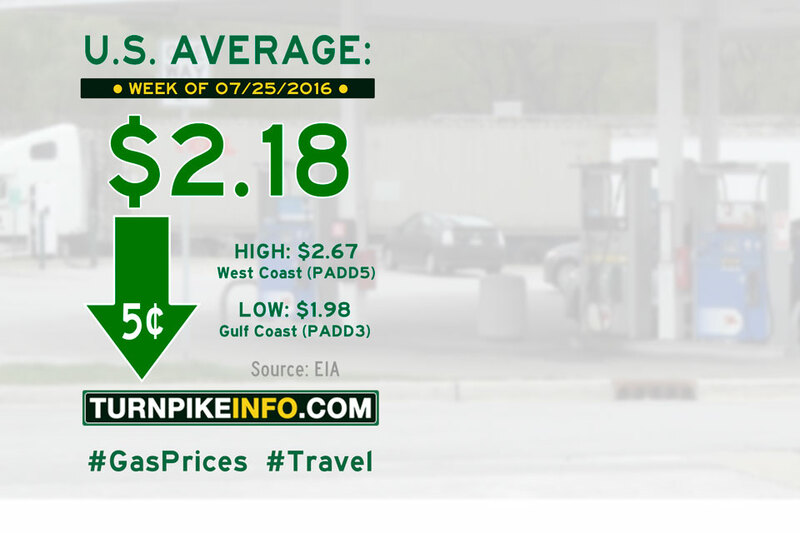 The latest gas price survey, from the U.S. Energy Information Administration, details strong price declines in all regions, with prices falling to a national average of $2.18. Along the gulf coast, the price has, officially, fallen below the $2.00 threshold for the first time in months. Diesel prices fell just over a two cents, on average. The E.I.A. report shows the average price for a gallon of diesel is now $2.38. Fort Lauderdale, FL – The price of gas continued its spate of weekly declines, according to the latest report from the U.S. Energy Information Administration. The report shows prices in all districts fell, with some regional averages poised to fall back below the $2.00-per-gallon threshold. 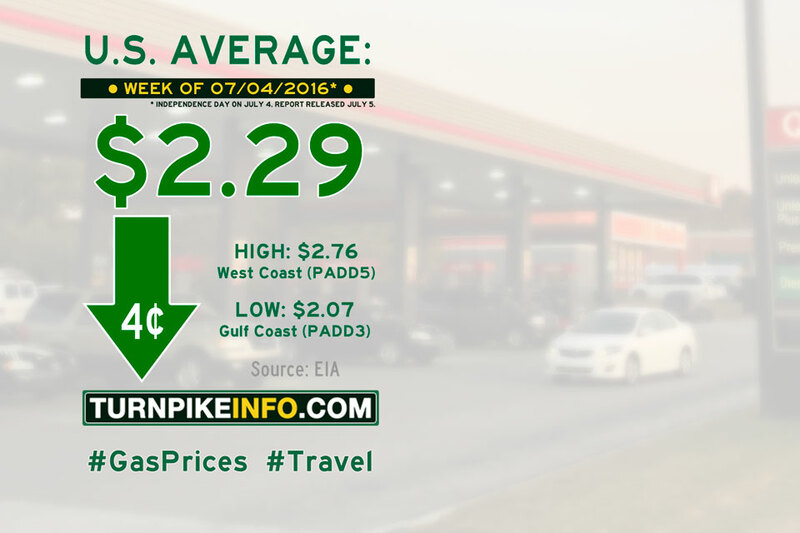 Meanwhile, the national average price for a gallon of regular unleaded fell to $2.23, according to the weekly E.I.A. report. That price is down two cents from the previous week’s average. Diesel prices fell just over a penny, on average; however, prices continue moving downward slowly, compared with regular gasoline. The E.I.A. report shows the average price for a gallon of diesel is now $2.40. Fort Lauderdale, FL – The price of gas dropped again during the week, as prices in every region feel between two and five cents per gallon, according to the latest report from the U.S. Energy Information Administration. 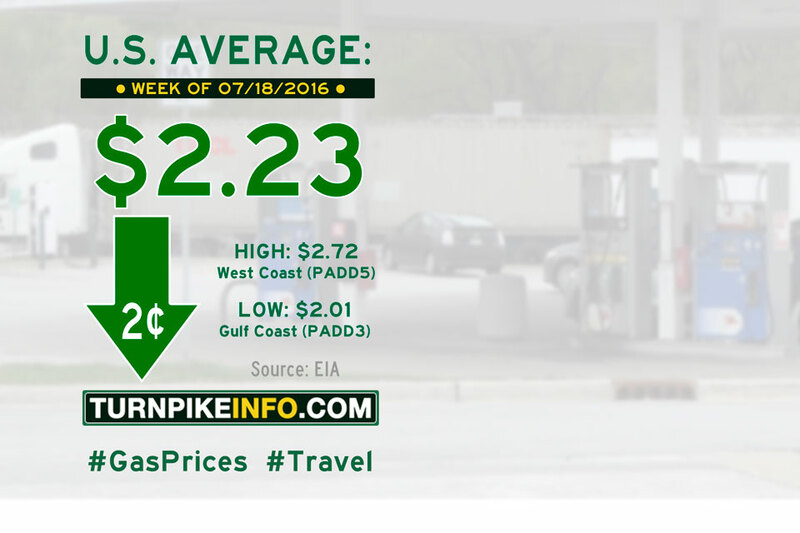 The national average price for a gallon of regular unleaded fell to $2.25, according to the weekly E.I.A. report. Diesel prices held fell about a penny, on average; however, prices are not moving downward as quickly as with regular gasoline. The E.I.A. report shows the average price for a gallon of diesel is now $2.41, down about two cents over the past two weeks.